1. Bathroom Mosaic tiles can add vibrancy to any room and the shower area is one of the most practical locations where this tile can be installed because of its resistance to water. If you want a “jungle-feel” for your bathroom, designing it with green mosaic tiles will make you embrace nature while taking a bath. Add indoor exotic plants, scented candles and flowers, and you successfully create a cohesive space in your home—an enclosed haven for instant relaxation. Suggested type for the bathroom is marble mosaic which can form stunning flooring, walls and also shelves. 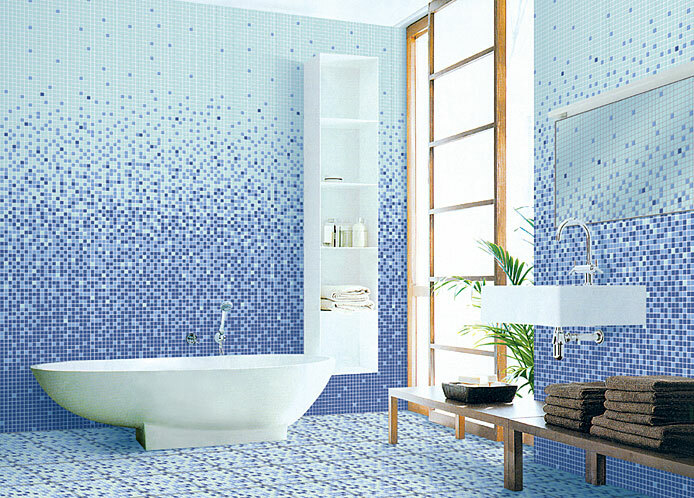 While the process of cleaning bathroom tiles is normally tedious, cleaning mosaic tiles is not at all tiring. If you’re a busy housewife, you don’t need to worry because maintaining this tile is not complicated. Humidity and heat do not affect its substance and germs and bacteria don’t live on mosaic tiles. This makes your family safe from infections and hygienic issues. 2. Kitchen Apart from the shower area, the kitchen is one ideal place where mosaic tiles would be functional. Aside from enhancing decors as a backsplash for the kitchen sink, they are normally solid and durable materials that are able to withstand the test of time. Because mosaic tiles are made from rocks and pebbles, they are incredibly durable and cannot be scratched easily. Mosaic tiles can also be put to kitchen walls to make that boring area in your house stand out and blend in with modernity of your cabinets. The most common and appropriate to use are limestone mosaics which have different designs to choose from: natural, polished, flamed, hammered and beveled. 3. Swimming Pool Area There are quality mosaic tiles that can be used practically for outdoors. A good example is using glass mosaic tiles in your swimming pool area. This is to further spruce up lighting and brightness under direct sunlight. In contrast to using colorful mosaic tiles, tiles with bright colors and bold patterns are also good options to be incorporated in this area. Mosaic tiles are perfect for use in any modern home decorating. Not only do they add color and life to your home, but they can also last for a very long time provided that you exert enough effort to maintain it. Aside from bathrooms, kitchens and swimming pool areas, they can also look attractive in gardens and in any indoor or outdoor flooring.